In mid August, 68 executive MBA students travelled to Brazil for an immersion week focused on entrepreneurship, multi-national corporations, and sports marketing—especially timely in a country focused on preparing to host the 2016 Summer Olympics. 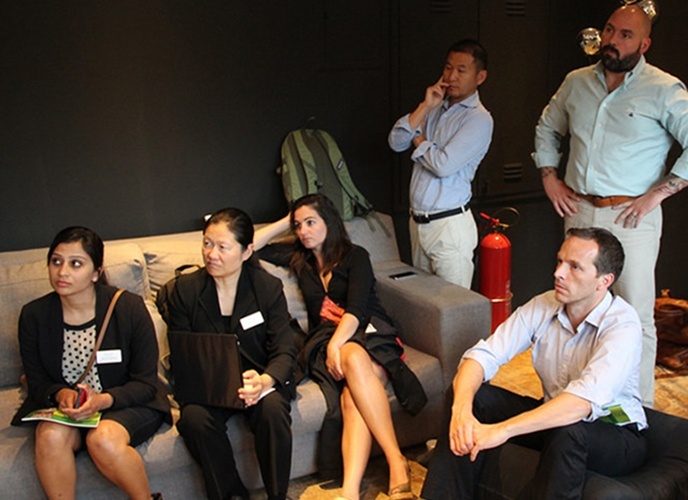 The packed six-day curriculum included meetings with executives including the CEO of Google Brazil and the deputy CEO of the Rio 2016 Olympic Committee; seminars and hands-on workshops; visits to startup incubators; and time for sightseeeing and bonding. 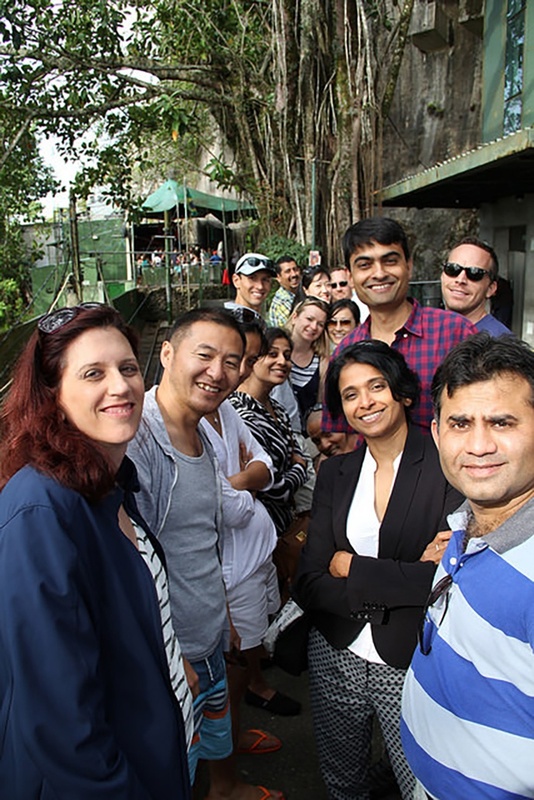 Below, you'll find two students' reflections on the trip, as well as a selection of photos by Lucky Sandhu, EMBA 15. Next up in the Berkeley MBA for Executives Program is DC for students in the Class of 2015, and Silicon Valley for the Class of 2016. Both immersion weeks are in early December. Perhaps the greatest highlight of all was the group outing to the accelerator named Plug, to visit their brand-new office space and hear the war stories of those making it happen on the ground. They spared any sense of political correctness in their mission to induce change in Brazilian policies and government regulations. Plug is so much more than shared office space and seed funding: they are the advocates fighting for their entrepreneurs against the established behemoths in the regulatory world of Brazil. Their no-nonsense approach appealed to the "question-the-status-quo crowd gathered in front of them to absorb their impassioned message. "While visiting the amazing school called Bola Pra Frente, I heard children laughing and as I turned, a Brazilian boy on the soccer field had taken a shot on goal and faked a dive. Holding his knee in fake injury he rolled on the ground. 'This child has a real future in the game,' I thought, in a country obsessed with futebol—a game that brings this diverse nation, influenced by Portugal, Italy, Japan, and Africa, under one roof. All races, all colors, come together, chanting, “sambando com a bola no pé...goool! "—dancing the samba with the ball on the feet...goal! Bola Pra Frente brought me to a field of fun. Perhaps this place is an escape to play and learn, in a nation plagued by corruption and hardship. One must see beyond that, to a nation of culture, of music, of sport, and of passion. 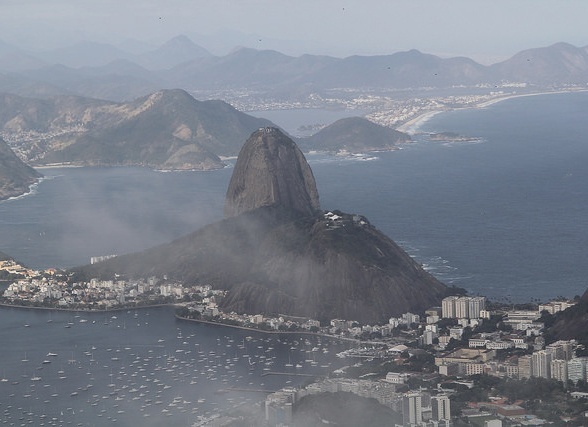 The coming Olympic Games shines a light on a country that trumpets: "lindo, maravilhoso! "—beautiful, marvelous! Indeed, Brazil is a country of extremes and my hope is that it moves to samba, feels joy, and that perhaps the 16 days of Olympic Games will serve as a proof point—not only to the world, but to Brazil itself—that it can transform itself and lead South America; and that it stands for the ideals of the Cristo that watches over this hopeful country." Laura is a senior marketing and communications manager at Berkeley-Haas. As a former journalist, she finds no shortage of interesting stories to tell at Haas. As a Cal alum, she loves being able to walk to work through redwood groves along Strawberry Creek.